"Love, Unselfish loyal and benevolent" If your desire is to impress your guests on your big day, than this is your solution! 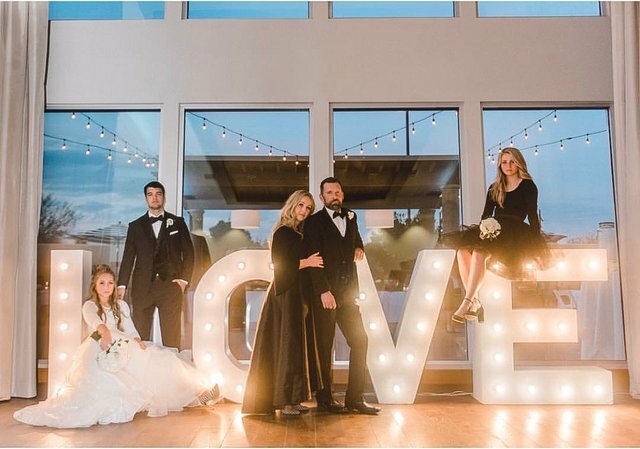 With this stunning LOVE sign, your guest will be thunderstruck. This sign brings dead, dark, gloomy spaces alive! Each letter stands at 4 feet and is 4 feet wide. lit up with soft white Top Notch Quallity LED bulbs. 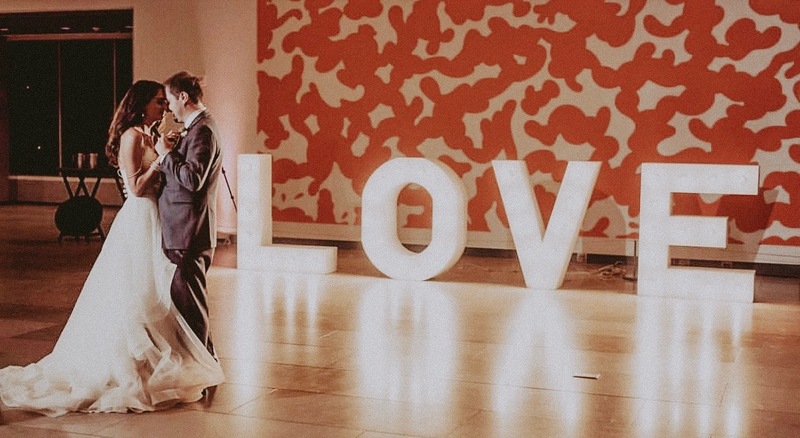 These LOVE letters work masterful as a backdrop for photos. Question: Does these LOVE letters come with an extension cord for the lights? Question: Can the LOVE letters stand by themself or does it only hang on the pallet wall? Answer: Yes, the LOVE letters stand perfectly fine on grass, dirt, gravel, or cement.